Pro Air 60 Aeration Compressor - Aquascape, Inc. The Aquascape Pro Air 60 Aeration Compressor is the ideal compressor for aerating ponds and water features up to 15,000 gallons. The unit can be combined with aeration tubing and an aeration diffuser to supply dissolved oxygen directly to pond water, helping all biological processes and ensuring healthier water, fish, and plants. The outdoor-rated, 45-Watt compressor provides quiet and energy-efficient operation, and the heavy-duty, metal housing is weather-resistant, guaranteeing year after year of reliable aeration. Integrated rubber feet located on the bottom of the compressor minimize vibration, and the included 2-way manifold allows for installation of up to two airlines with airflow adjustment. The Pro Air 60 Aeration Compressor is ideal for ponds with a maximum depth of 11.5, and the unit has a maximum air flow rate (loaded) of 2.1 CFM (60 liters/min) and a maximum air depth of 5.08 psi (0.36 kgf/cm2).The aeration compressor can also be used during winter months where bubbles and water movement created at the surface help to maintain a small opening in the ice for oxygenation. 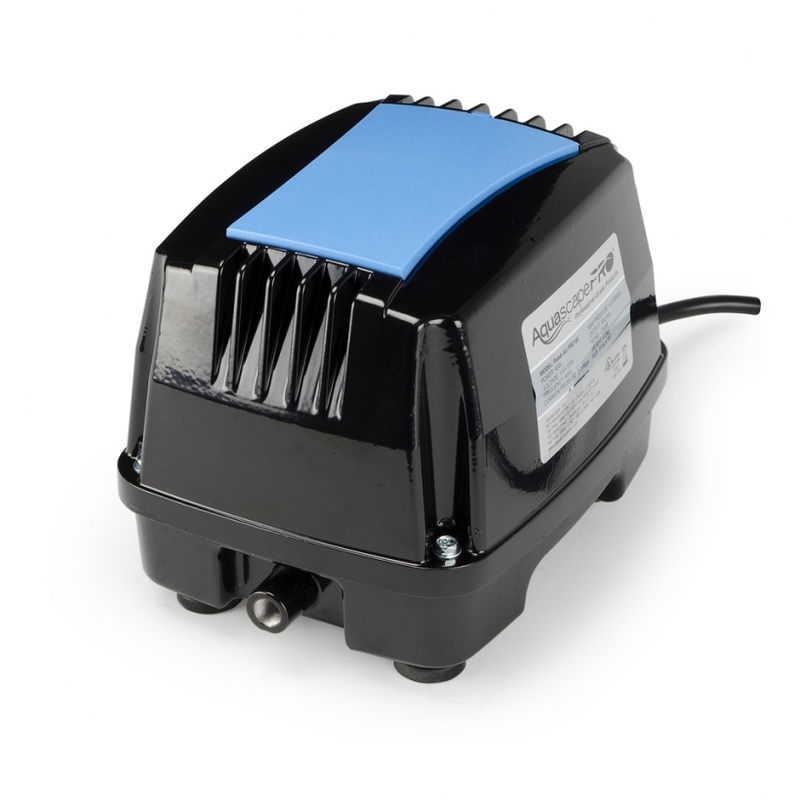 Aquascape Pro Air 60 Aeration compressors carry a 3-Year Limited Warranty. Aquascape is passionate about the products we produce, providing unique products, designs, and features that stand above the competition.